During the first part of this exclusive webcast event we welcome Eric Ries (@ericries) author of New York Times bestseller "The Lean Startup" for a fireside chat with Alistair Croll (@acroll) and Ben Yoskovitz (@byosko) authors of "Lean Analytics" to learn the story behind "Lean Analytics" and how the material was chosen for the book. By now, you're probably heard of Lean Analytics. Maybe you've even learned about the five stages all startups go through, or how to pick the one metric that matters for your business model and how to draw a line in the sand. Join Alistair and Ben on August 6 and learn why readers are calling Lean Analytics the must-read book of the year for founders and innovators. Alistair has been an entrepreneur, author, and public speaker for nearly 20 years. He's worked on a variety of topics, from web performance, to big data, to cloud computing, to startups, in that time. In 2001, he co-founded web performance startup Coradiant (acquired by BMC in 2011), and since that time has also launched Rednod, CloudOps, Bitcurrent, Year One Labs, the Bitnorth conference, the International Startup Festival and several other early-stage companies. Alistair is the chair of O'Reilly's Strata conference, Techweb's Cloud Connect, and the International Startup Festival. "Lean Analytics" is his fourth book on analytics, technology, and entrepreneurship. He lives in Montreal, Canada and tries to mitigate chronic ADD by writing about far too many things at "Solve For Interesting". 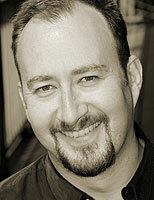 Ben Yoskovitz is a serial entrepreneur with 15+ years experience in web businesses. He started his first company in 1996 while completing university. In 2007 he co-founded Standout Jobs, a B2B software company in the recruitment space. The company raised $1.8M from venture and angel investors. In 2010 after exiting Standout Jobs, Ben co-founded Year One Labs, an early stage accelerator that provided funding and up to 1-year of hands-on mentorship to 5 startups. Year One Labs followed a Lean Startup program, making it the first accelerator to formalize such a structure. Three of five companies graduated from Year One Labs and went on to raise follow on financing. A great deal of Ben's experience and thought leadership around Lean Startup and analytics emerged during this time. 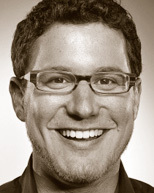 Eric Ries is the author of the blog Lessons Learned. He was the co-founder and served as Chief Technology Officer of IMVU, his third startup. He is the co-author of several books including The Black Art of Java Game Programming (Waite Group Press, 1996). 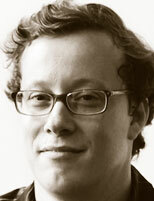 In 2007, BusinessWeek named Ries one of the Best Young Entrepreneurs of Tech. He serves on the advisory board of a number of technology startups including pbWiki, Smule, 750i and KaChing.